A detailed and comprehensive review of the tribal peoples’ problem was taken up on the eve of the Fifth Five Year Plan period. The main objective of ITDA is socio-economic development of tribal communities through income generating schemes allied with Infrastructure Development programmes and protection of the tribal communities against exploitation. The ITDA project areas are generally contiguous areas of the size of a Tehsil or Block or more in which the ST population is 50% or more of the total. Due to the demographic profile of the tribal people in these regions, however, the ITDPs in Assam, Karnataka, Tamil Nadu, and West Bengal may be smaller or not contiguous. Andhra Pradesh and Orissa have opted for an Agency model under the Registration of Societies Act and the ITDPs there are known as ITD Agencies (ITDAs). So far, 194 ITDPs / ITDAs have been delineated in the country. In Jammu and Kashmir though no ITDP has been delineated yet, the areas having ST Population in the State are treated as covered under the TSP strategy. In eight states having scheduled areas the ITDPs / ITDAs are generally co-terminus with TSP areas. The ITDPs / ITDAs are headed by Project Officers though they may be designated Project Administrators or Project Directors. – These are identified pockets of tribal concentration containing 50% or more ST population within a total population of about 5,000 or more. As in the case of MADA pockets, there are no separate administrative structures for Clusters. So far 82 Clusters have been identified in various T.S.P. states . – Primitive tribal groups are tribal communities among the STs who live in near isolation in inaccessible habitats. They are characterised by a low rate of growth of population and extremely low levels of literacy. So far 75 PTGs have been identified. Article275 (I)- Under Article 275 (I) there is construction of ICDS centre, PCC road and Installation of transformer is going on. Birsa Awas- This scheme provides House to Scheduled a caste family which comes under Primitive tribal Groups. Till September in this financial year total 31 units of house is being constructed. TSP- Under TSP boundary construction of Sarna Sthal is going on. Unit of work is 09. 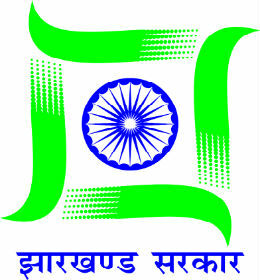 Prototype (IV)- This is scheme is approved for the year 2010-12. Water conservation, plantation and poultry are being carried out by different SHGs and organization. Prototype (V)- This is the scheme approved for the year 2011-13. Water conservation, laah production, dairy development, plantation and marketing of forest product is being carried out by SHGs and Organization. Total fund allotted under ITDA is 801.50 Lakh and expense till September is 324.99 Lakh only.